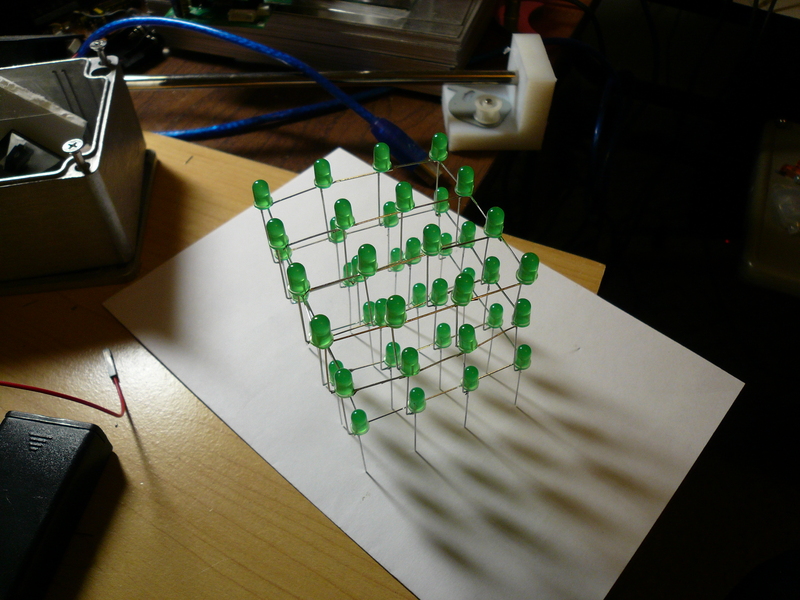 This is a 4 * 4 * 3 cube of green LEDs that displays a few pretty patterns, in random order. It’s driven by a Atmel AVR chip, and 2 8-bit shift registers. 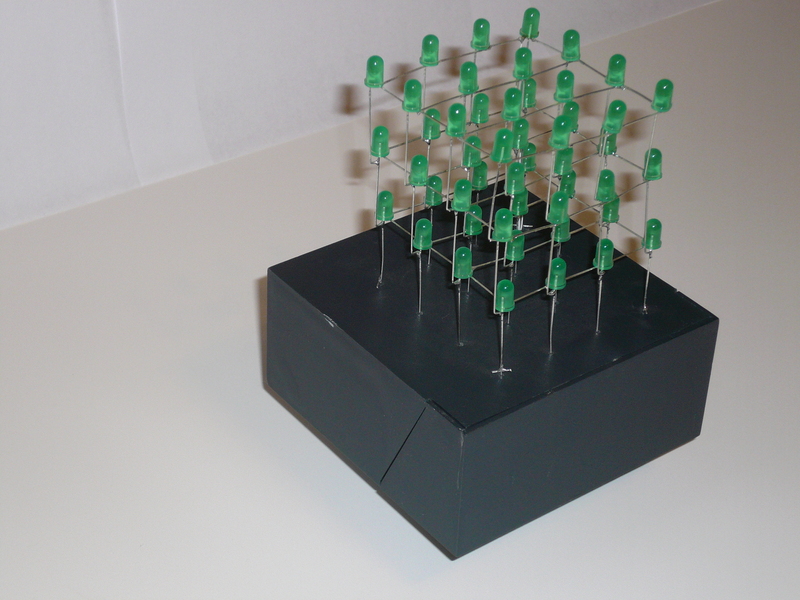 Each horizontal level is wired to the shift registers, so an entire level can be lit at once, and the levels are each lit in sequence, fast enough that it appears as if all the levels are lit at once. The code is in C, compiled with GCC-AVR. The base is a plastic Dysan 3.5 floppy disk box.